Home / Vacancy / Vacancy Announcement from SAVE THE CHILDREN. Vacancy Announcement from SAVE THE CHILDREN. 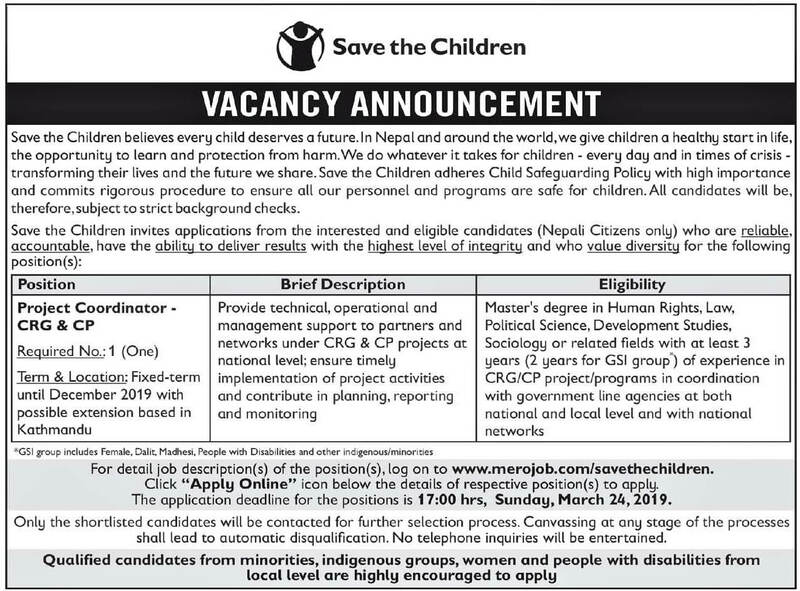 Save the Children announce vacancy for the following position. For detail job description(s) of the position(s), log on to www.merojob.com/savethechildren. Click "Apply Online" icon below the details of respective position(s) to apply. Application deadline: 17:00 hrs, Sunday, March 24, 2019.